At just Hemp Foods, we start with only the highest quality hemp seed. 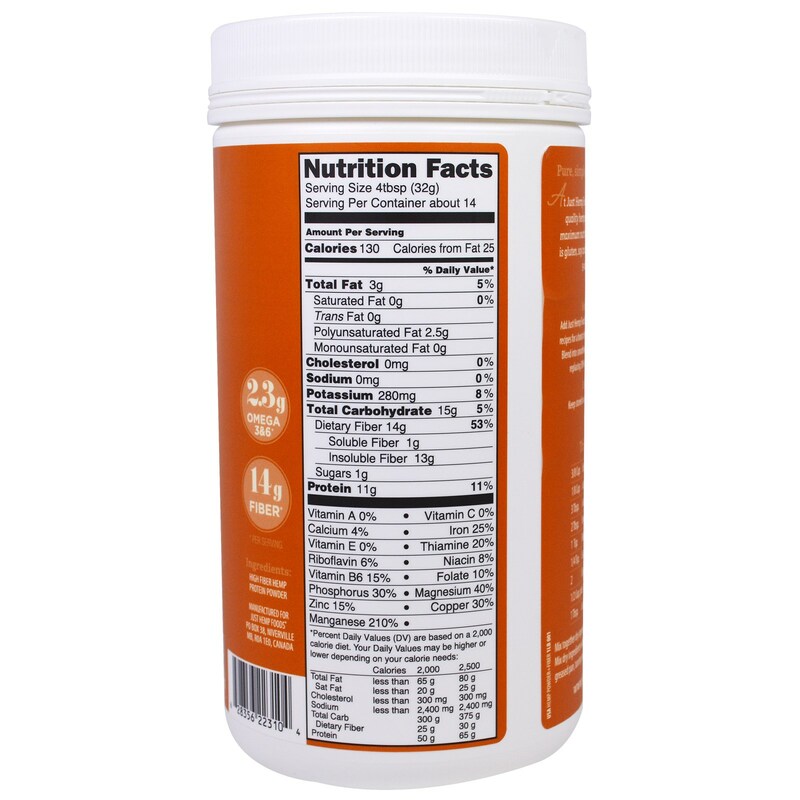 Sourced and processed for maximum nutrition, this pure plant-based protein is gluten, soy and lactose free, and a good source of 9 vitamins ad minerals. 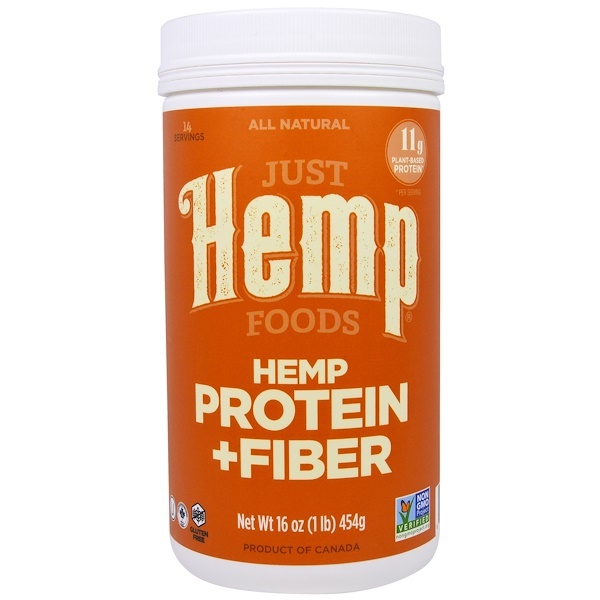 Add Just Hemp Foods Hemp Protein + Fiber to all of your healthy recipes for a boost of natural, plant-based protein and dietary fiber. 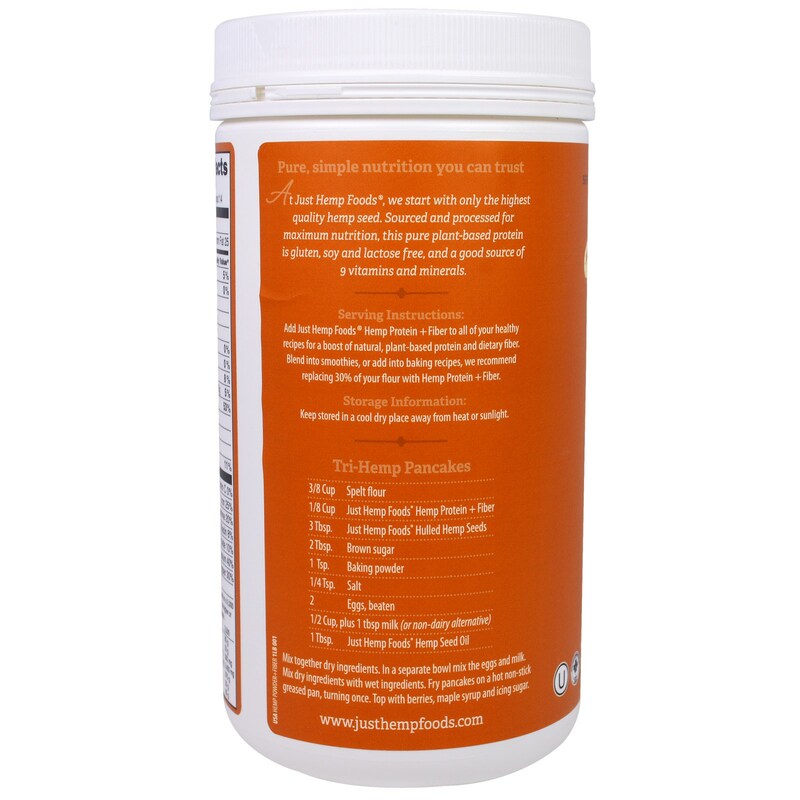 Blend into smoothies, or add into baking recipes, we recommend replacing 30 of your flour with Hemp Protein + Fiber. Keep store in a cool dry place away from heat or sunlight.